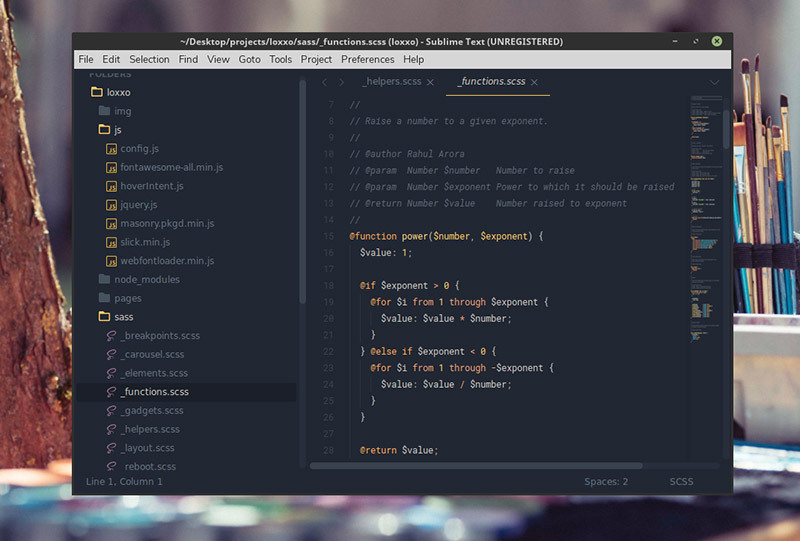 Sublime Text is my all-time favorite code editor. I’m using it back again after trying many others of its type. It’s not that others are not good enough, but I find it so comfortable to work with ST’s slick UI that I always end up using it again. 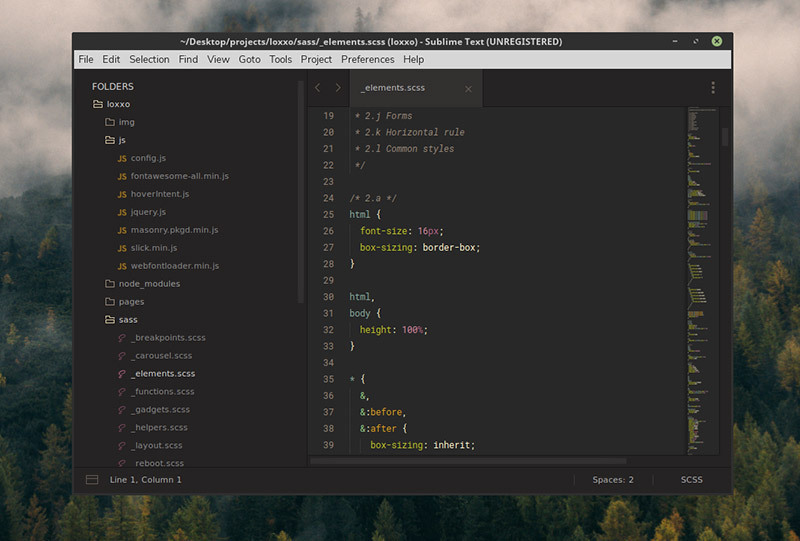 Being one of the very first smart code editors, what makes Sublime text more beautiful is the way its themes and color-schemes go with its UI, which I don’t really see in other modern code editors. Or maybe I’m addicted to ST. I have a list of must-haves for Sublime text, and I put the appearance on top of it, because it is the first step in befriending any code editor. Above all, it’s the good appearance only that makes you feel comfortable and relaxed during those long coding hours. 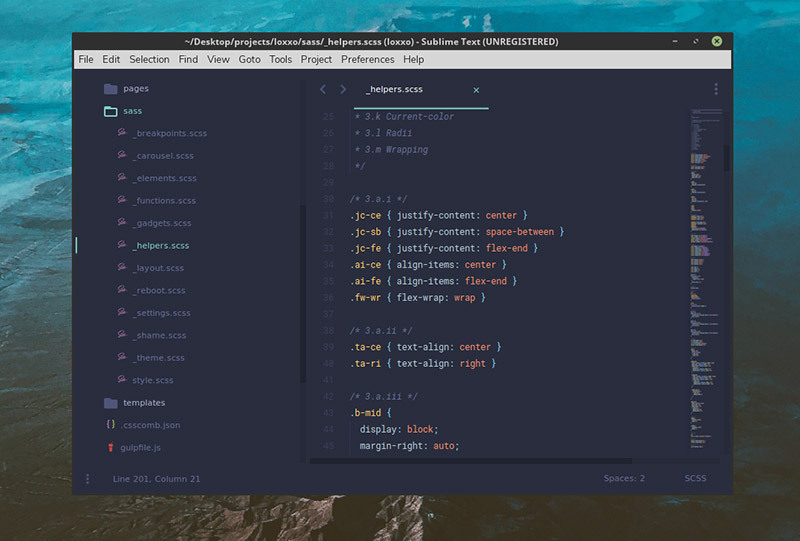 This post is all about Sublime Text 3 themes which I found the best to enhance the coding experience little bit more. 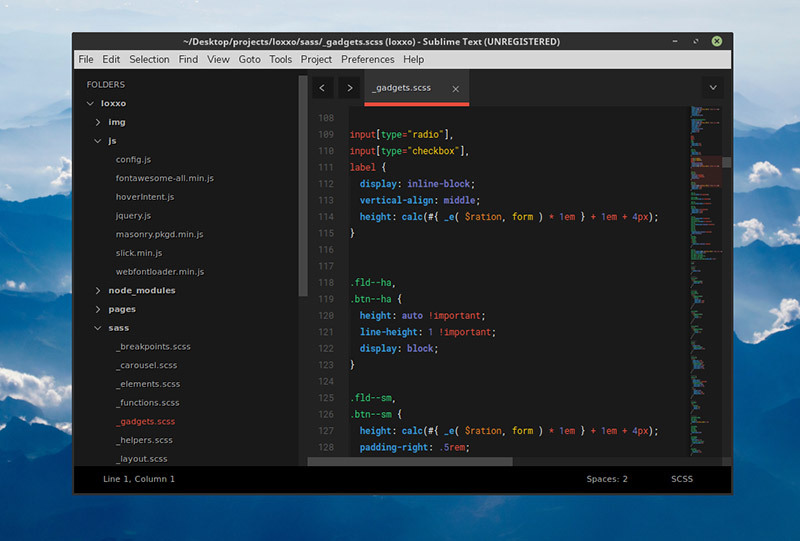 Themes basically decorate the core UI elements like side-pane, tabs, menus etc. Color-schemes are responsible for the syntax-highlighting. It’s the most popular ST theme right now with over 780K downloads, and is certainly the best one at the moment. 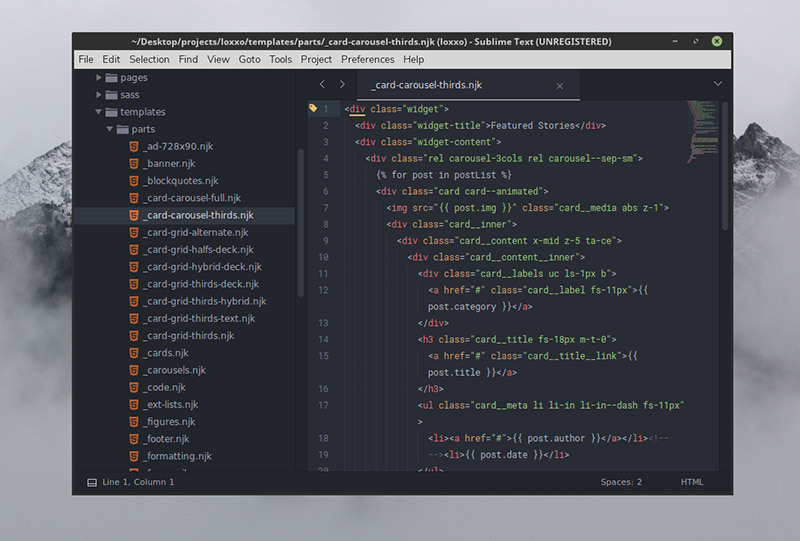 Comes with 4 different themes and color-schemes, Material theme adds a clean look to your editor. The folder and file icons are crystal-clear, and the UI becomes pretty spacey with it. Material also has one light scheme to offer if you are not a big fan of dark schemes. Spacegray has been there since ST 2.0, and it too comes with 4 classy themes and color-schemes (3 dark + 1 light). The best part of SG is its soothing colors and cleanliness it adds to the UI and the syntax. Ayu is a simple theme with 3 different schemes naming dark, light, and mirage. Not much colors, but good enough to make an impact. I personally liked mirage over the other twos. 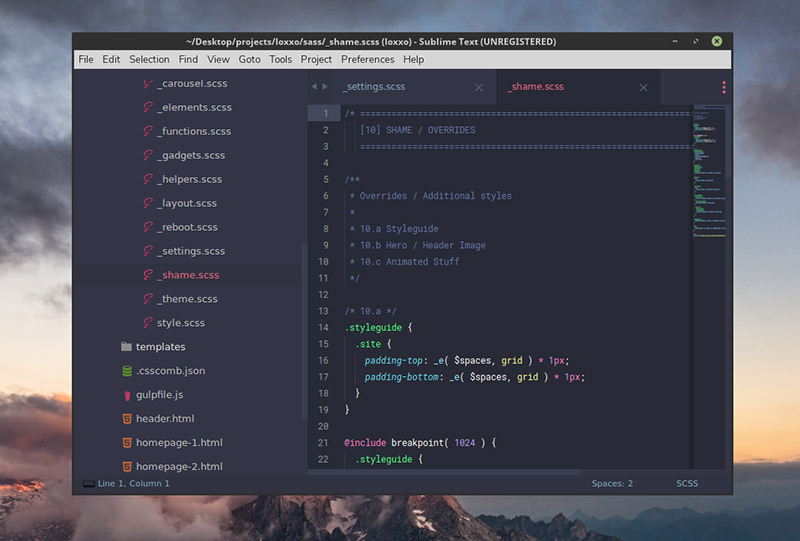 Agila is an all-in-one theme that offers 8 different schemes including oceanic text, cobalt, dracula, light solarized, monokai extended, neon monocyanide, and couple more. I liked dracula one the most. Simple theme with two schemes to choose from. Its “Gravity One” reminds of Spacegray’s Ocean Dark. Another all-in-one theme which has a huge list of schemes including acid, alert, black, contrasted, golden, love, mint, purple, and more with schemes intermixed as well. “Contrasted” and “love” looks decent to work with. 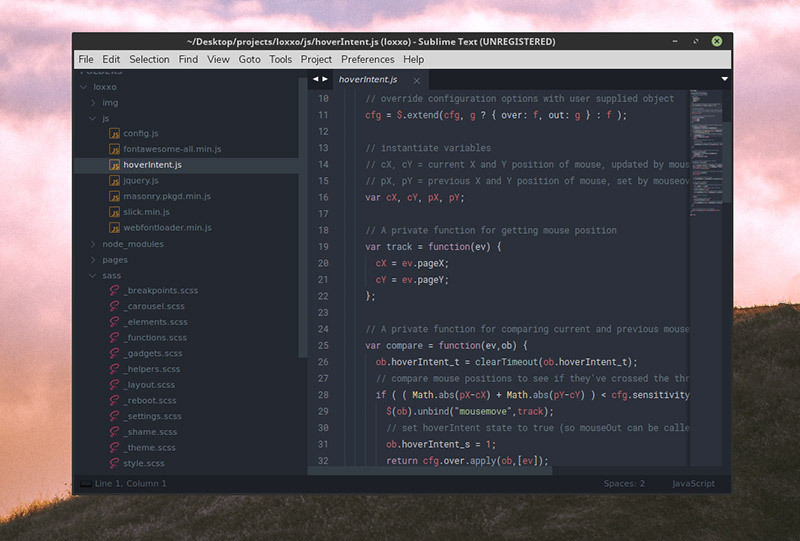 A navy-bluish theme with just one style, still manages to look good with limited colors in syntax-highlighting. You must give it a try if you love blue. 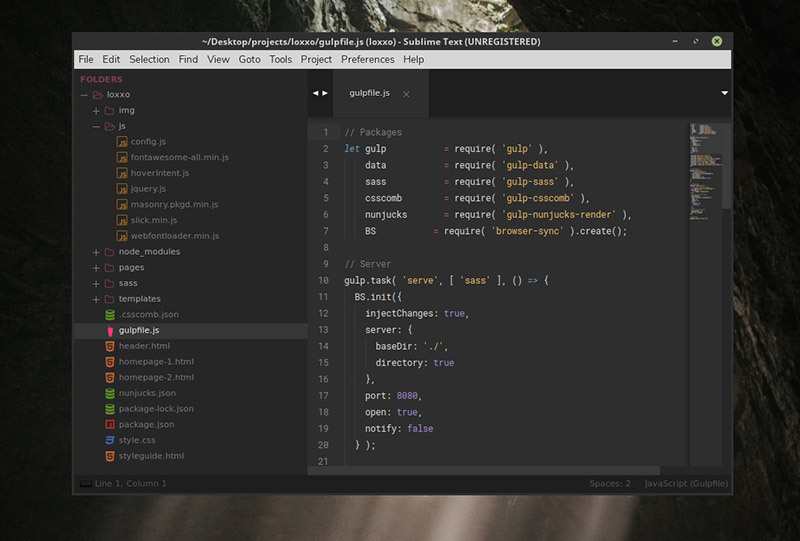 With four dark schemes with different highlights, Afterglow is currently one of the trending themes for ST3. 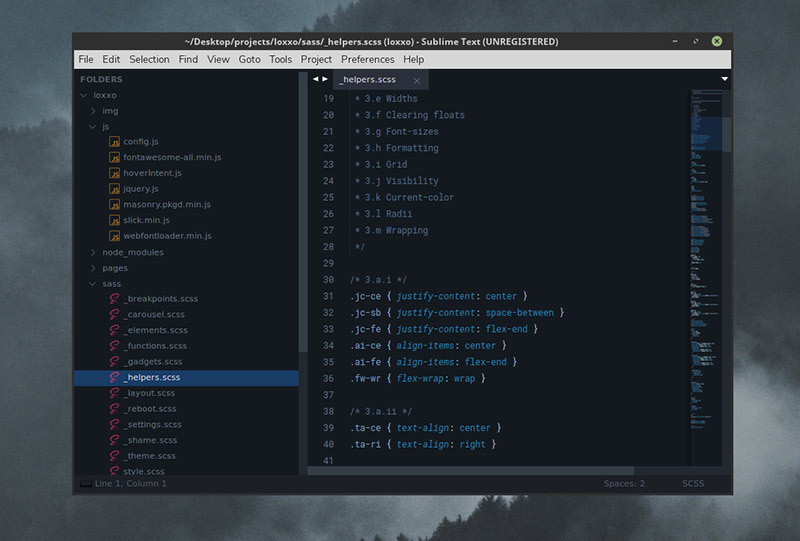 I tried its “markdown” for a while, and I liked it. 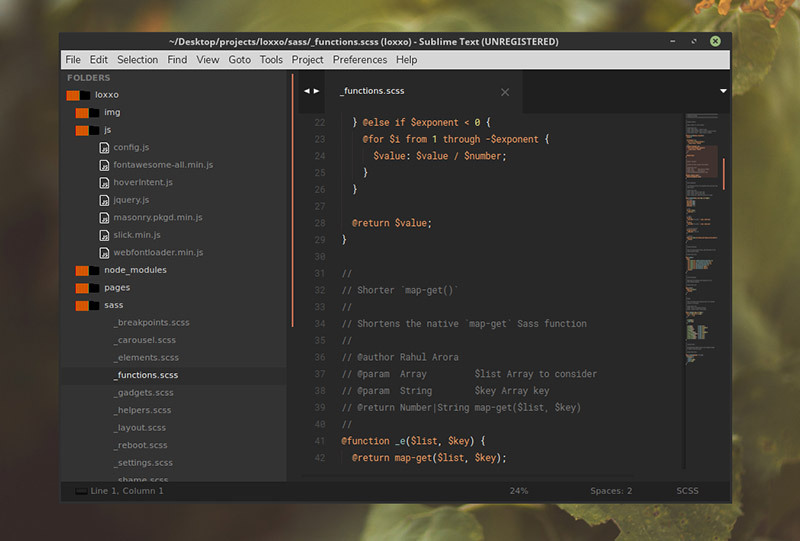 Predawn’s primary scheme looks some similar to Afterglow’s markdown, but you see different highlights for different programming languages with it. It supports two schemes at the moment. This one is very colorful, bold, and vibrant with the highlights. You’re definitely going to like this if you like bold colors in your editor. Simple and sober, Gruvbox has 5 different schemes to offer with 3 dark and 2 light styles. It also adds neat and crispy icons to editor’s UI. And finally, that wraps up the list. If you ask me my favorite theme, I’d say it’s definitely the Material theme, it’s the current theme on my setup. My second choice would be Spacegray for sure. 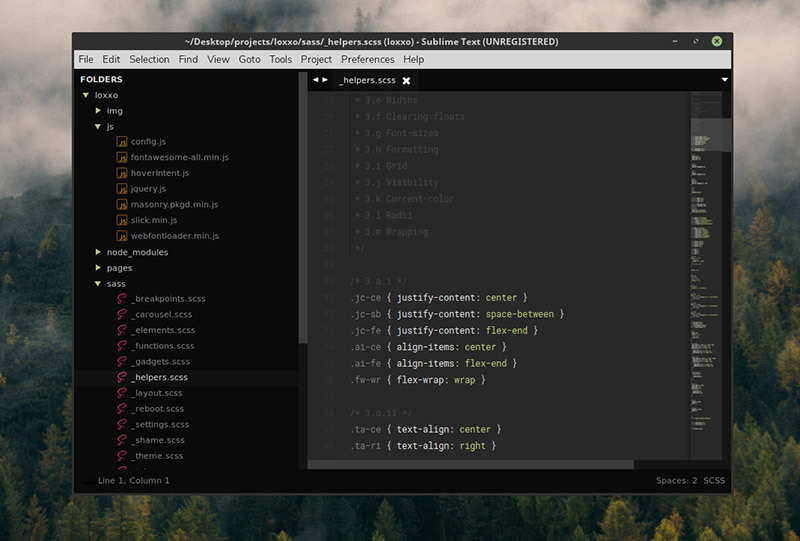 Let me know what theme you are currently using on your Sublime Text. Also feel free to suggest something that you think I missed and should be mentioned here. Cheers!